In the December issue of the magazine we shared our best photographic products and website of 2010. We also sent a call out for what your best products where. For those who have not checked out our list in the magazine, here is the list with best compact, DSLR, accessory, website and best product overall. You will also find a few suggestions from readers as well. We liked it so much we now have one on the team. AVCHD video, 10x Zoom & Sweep Panoramic the list goes on. While we’ve yet to put it through its paces, the little we’ve played with it we can say that we like it a lot. We just recently got to review this bag – checkout our website – and it almost caused a fight amongst the team. Not an easy category to pick a winner.With great photo guides, tips, new forums and the weekly e-mail newsletter, Light Stalking its just an inspiriational place to be. This was very difficult to decide on particularly with the Sony A55, the Nikon D7000 and some other gadgets that we got to play with or see at Photokina. In the end, its the new firmware, size and range of adapters to use an almost limitless range of lenses that put the Sony NEX-5 back into contention. shootsac – as a wedding photographer I can see why. The Shootsac is a lens bag which is not only very practical by fashionable as well. Lightroom 3 – Those who have upgraded to Adobe’s Lightroom 3 seem to be over the moon with it. When you shooting a lot of images then this is essential to your workflow. Spiderholster – I admit that this was new to me. Having checked it out, I can why people would like to keep their camera ready on their hip like an old western 6 shooter. Sony Alpha A55 – It was really hard to not include this camera in our list. If we had created a title for innovation of the year, the Alpha A55 would have taken it without a doubt. 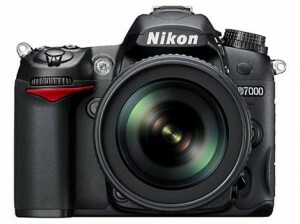 This camera has set a new standard and we are itching to see its big brother being announced in the new year. Were the older generations just a bunch of prunes?